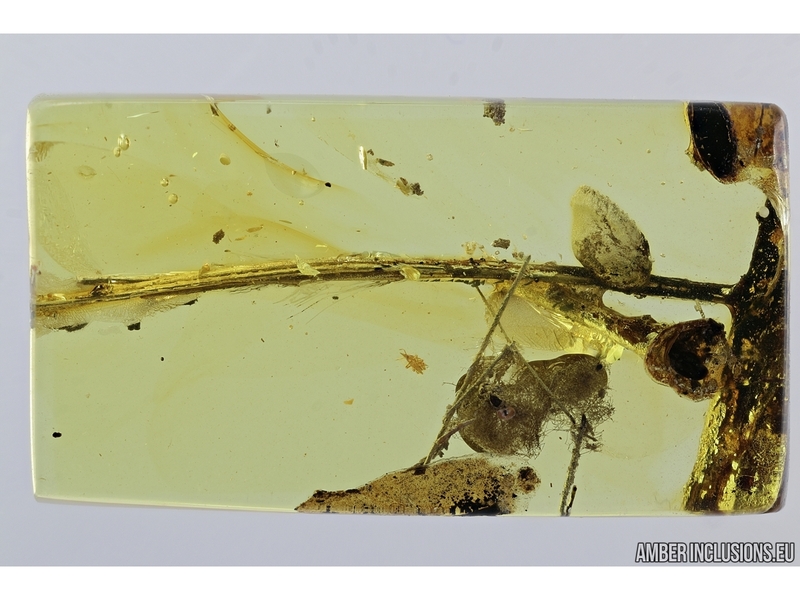 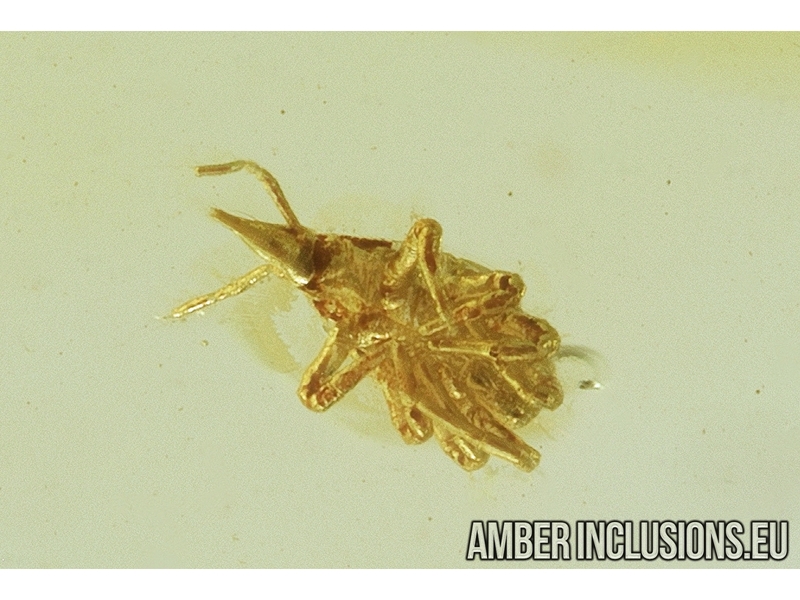 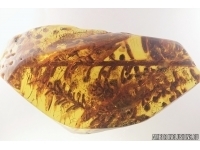 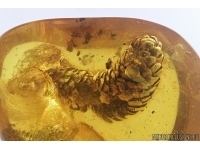 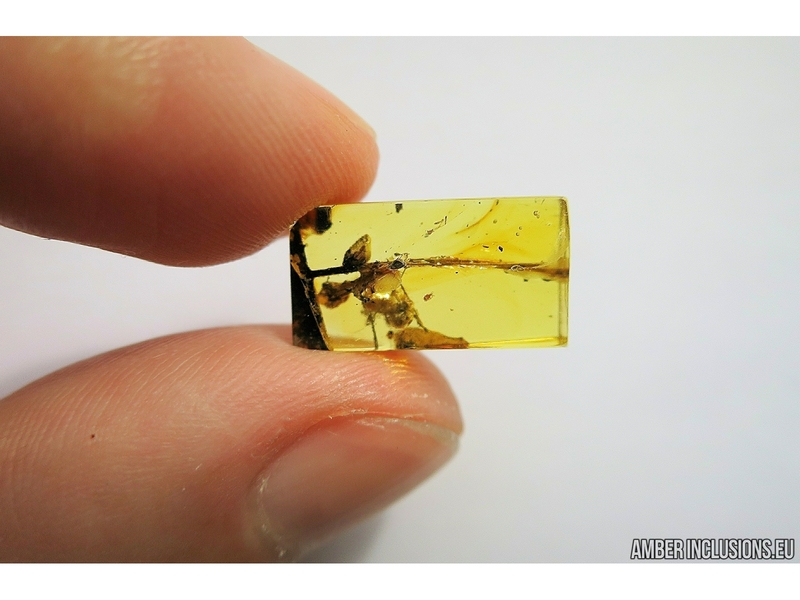 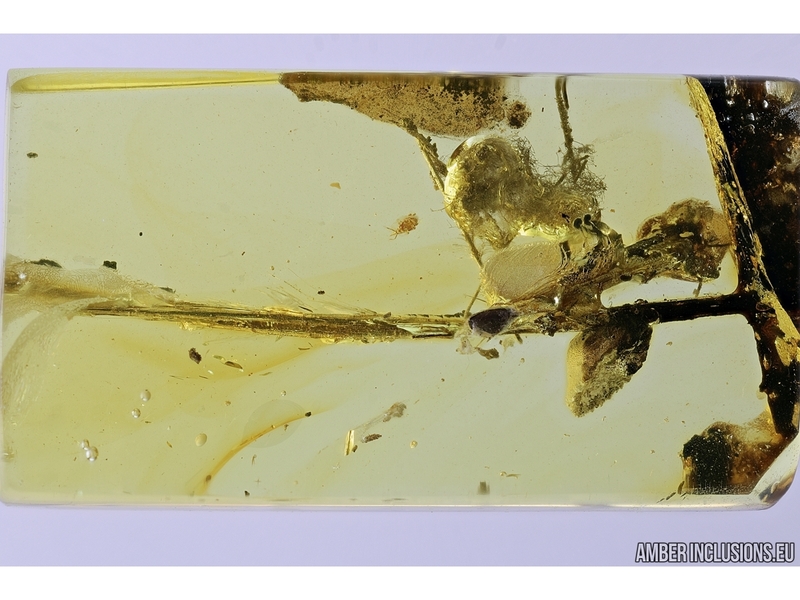 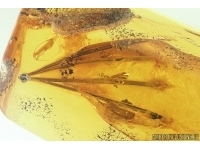 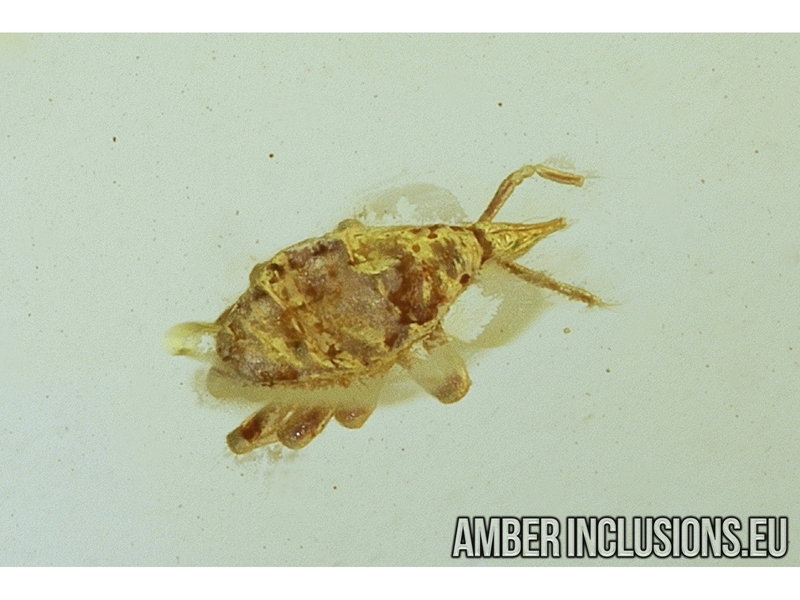 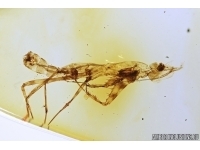 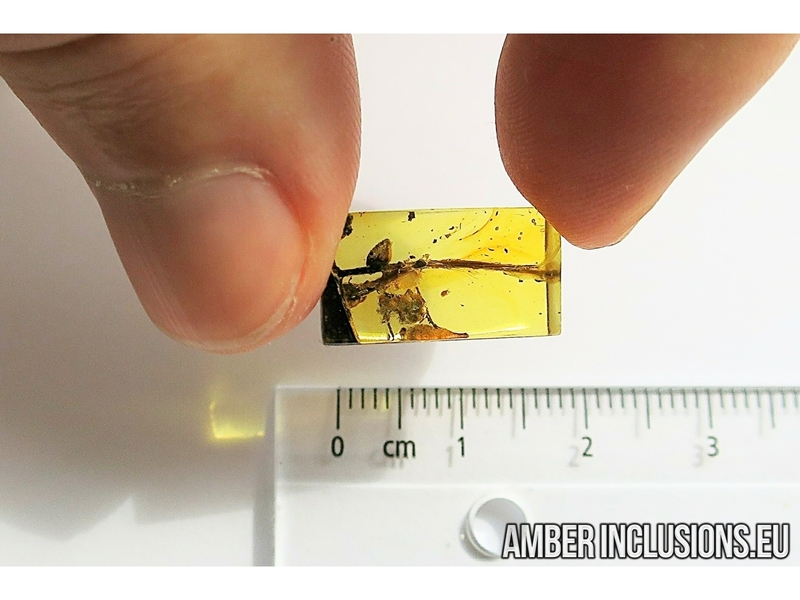 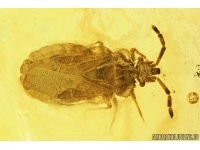 Baltic amber stone with fossil inclusions- Plant and Mite, Bdellidae. 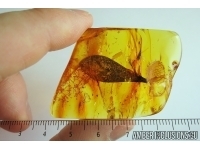 It weighs 0.6 grams. 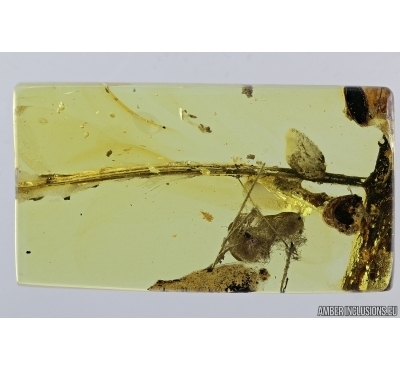 Measurements of stone 16x9x5mm, length of plant ~16mm, mite ~0.5mm.